Master to Jaiko, Mirael, Dark and Zachry D'Kana. Single saber user. Proud Slytherin. J makes delicious cakes with special frosting. You make me smile whenever I see you. You keep the good times rolling on the server! , and for the hours of fun i've had with you in-game i'd like to thank you. You have really admirable traits about you, yet you keep it real and like to have fun. " like a Monkeh!!" . I owe you training which I probably cannot repay. Having you in this community is a real treat, and you're one of the key people in this community that make me want to return again and again,.. and again . Many memories, I just wish I had screenies of them all, but the good times are ingrained in memory scatgirl! As are you J . "dint mind 'bout the sweeties cause? she wernt 'ungry there!" lol. As always, hope you're doin well, havin fun.. Your admirable character and Crazy determination and skill have been shown to me throughout the years, and I simply think you're awesome..
" LIKE A MONKEH!!!! " This comment was edited by solitude on Apr 09 2010 06:19pm. and even in RL sometimes as I also hope that somehow this post will be an encouragement in return . can always tell its you, because your always in sphere number 1 even tho your across the map. soooooooooooo. Thank you Jaina, for being , being there, and being a friend . To you, my only COUNTED post (so far) ... Numero 900! JAINA BOOM BA YAY JAINA BOOM BA YAY JAINA BOOM BA YAY . JAI... Jedi . 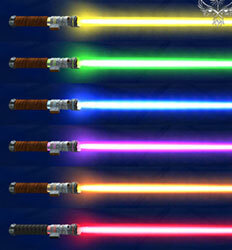 , have a good day J , awesome lightsaber btw! . boom ba yay. Good Fight. "Jeez Jaina , Did you have to hit me so hard ? " This comment was edited by solitude on Sep 29 2009 07:23pm. p. sure i never even made it to those two classes-- just fucked around w. you, luke, and dante that one time . This sounds like a dirty film. hey, thanks for showing me some of that blue style back in the day <3. On this special day I would like to express my true feelings for you! Sadly, no degree of personal attacks, character assassination, or flaming is allowed in this community. Hello! I am doing well. It seems with the release of these new Star Wars movies it re-jogs my memory of the JK days and I feel compelled to visit places like this, haha. Good to see an old face again! How are we doing Jaina? This comment was edited by Dash Starlight on Apr 21 2016 05:42pm. Jaina, your padawan has been advertising other servers in this thread. You better have a good talk to him! So. Where is my Birthday Invite? I figure it should be here by now? This comment was edited by Maher on Apr 03 2016 01:52pm. Heya, hope you're well. hows life? I havent played jka in a bit, not sure if you have either. That's fair, and also a sucky situation Lol. Well Heavensward dropped a few months ago (first expansion). Lots more to do and stuff. Might be worth another view! It always pulls us back. Every time. Any prospect of picking up XIV again? I take it you got bored? Good! I think right now the OoF server is the most reliable one. TJA server seems to be down again.